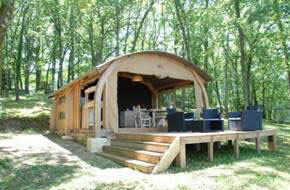 and shaded withprivate jet and bubble spa, then entering through its high end furniture and wood stove. 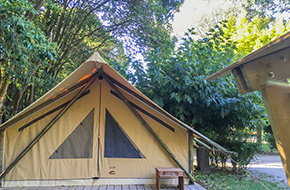 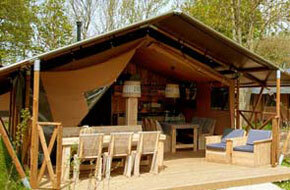 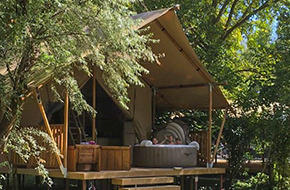 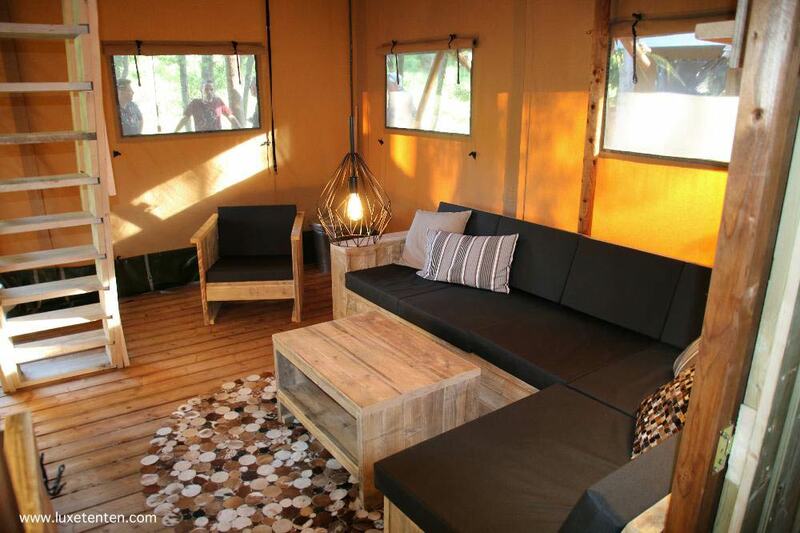 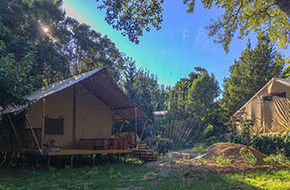 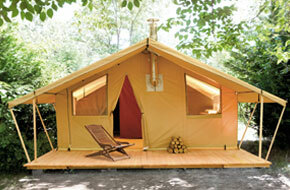 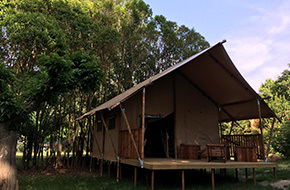 This luxe lodge tent has a 30m² interior space, a dining area, and a kitchen. 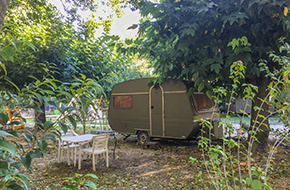 On arrival, you will discover a corner kitchen fully furnished and equipped (fridge, sink, electric hob, microwave, coffee maker, electric kettle, crockery for 6 people and kitchenware,…) and a zone furnished living room in recycled wood with a table and wooden seats. 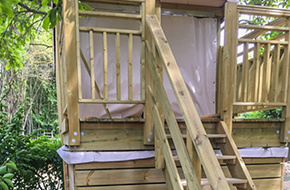 You continue with a double room (160×200 bed), a second room with 2 bunk beds or 2 beds (80×200), a third room with a cabin bed with play area underneath or 2 beds (80×200). 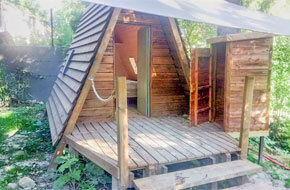 You will also enjoy a personal bathroom (shower, basin unit, toilet). 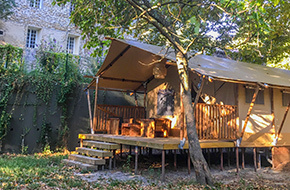 If respect for the environment and consideration of social factors are decisive for you, L’Hôtel de Plein Air Suze Luxe Nature informs you of the European origin of this lodge, without PVC, and with an optimized product life cycle. 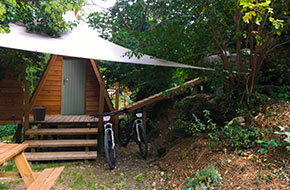 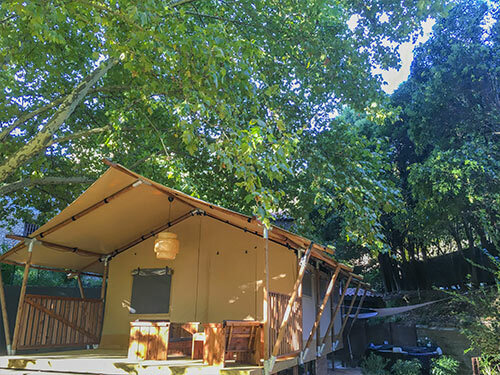 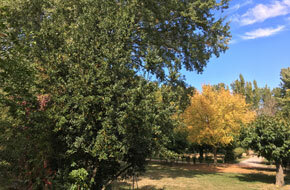 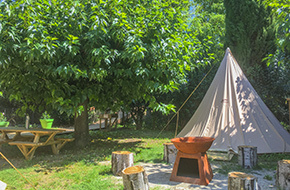 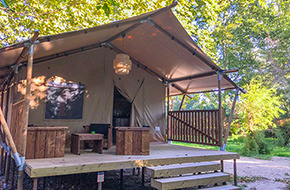 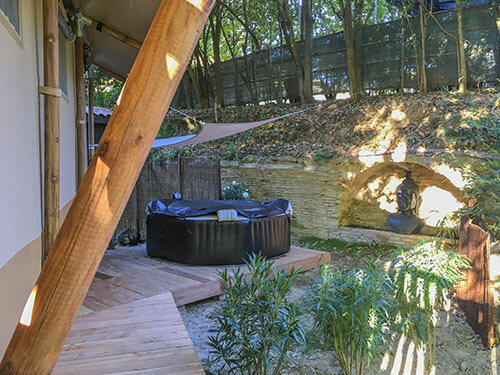 The campsite also offers you its natural stone sanitary facilities, its relaxing modern swimming pool, its access to the river Le Lez, and with an extra charge its wellness area, its bicycles for hire.